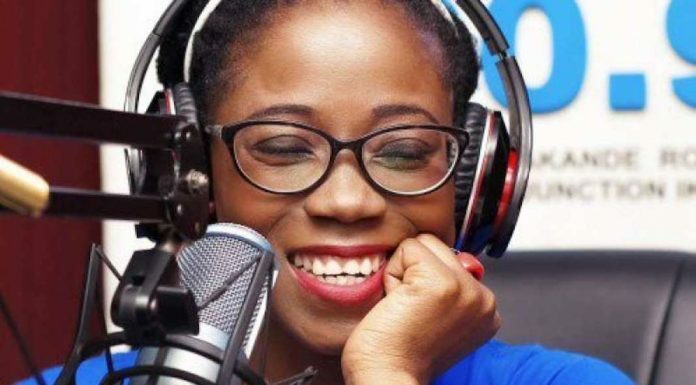 Oluwatosin â€˜Tosynâ€™ Bucknor, an on-air-personality (OAP ) with Inspiration FM, has died. She was aged 37. A graduate of law from the University of Lagos, Tosyn was born with sickle cell anaemia which prompted her to start â€˜These Genes Projectâ€™ to help people with the condition. In November 2015, Tosyn and AurÃ©lien Boyer had their traditional wedding surrounded by family and friends in Lagos followed by a white wedding in France. She started her OAP duties with Tee-A at Eko FM. She was also an intern at Cool FM where she hosted the â€˜Fun Hour Showâ€™ on Saturdays. @Busayo_cole tweeted, â€œâ€Aaaaaaaaaarea, guguru morning. This was one woman who made me fall in love with morning talkshows. Ace Journalist and an ardent Manchester United fan. Tosynâ€™s father, late Segun Bucknor, who was a popular musician and journalist, died in 2017.